It was a busy weekend for boxing, as several top champions and boxing stars got busy with their craft, both in America and overseas. In the United Kingdom we saw former world champion Amir ‘King’ Khan (32-4, 20 KO’s) return to action inside of the Echo Arena in Liverpool with a 39-second destruction of fringe contender Phil Lo Greco. It was an ugly mismatch from the start, as the 31-year old Khan dropped Lo Greco with a big right hand seconds into the contest, while finishing things off moments later with a flurry along the ropes. Khan has several options on his table, with his promoter Eddie Hearn of Matchroom Boxing claiming that nearly half a dozen big fights are out there. There are none at the moment greater that may be more interesting or financially lucrative as a clash with former IBF welterweight champion Kell Brook. The two rivals have been going back and forth with one another on social media and in the press for some years, and now, more than ever, Khan vs. Brook makes sense. 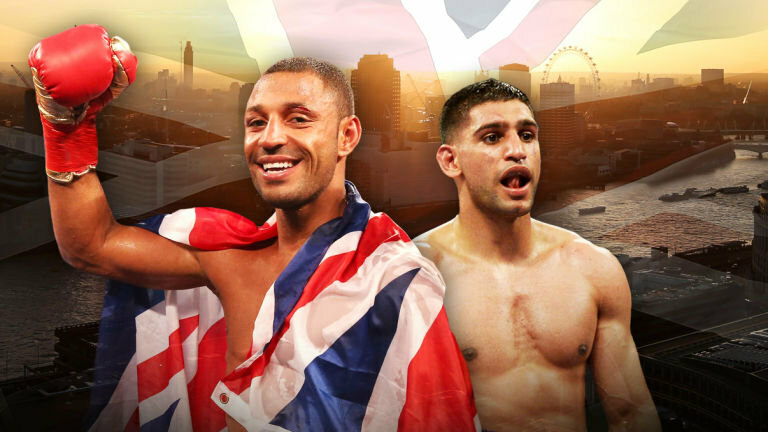 Khan even claims that a fight with Brook (37-2, 26 KO) is higher on his radar as opposed to another world title shot. Weight might end up being an issue, however, as Brook returned to campaign at 154 pounds in his last fight, a second-round stoppage over Siarhei Rabchanka in March. Khan vs Lo Greco took place at a catch weight of 150 pounds. However, Brook doesn’t think Amir is really keen on the match. However you cut it, this is a very interesting and lucrative fight, one that is worth seeing IMO. What is impressive about each man is that they have found a way to bounce back with their careers. Brook returned from being stopped by Gennady Golovkin first, then Errol Spence Jr. In his following fight. There was speculation he may not return, but he is back and seemingly more focused than ever. So too did Khan suffer a tough loss in being knocked out by Saul ‘Canelo’ Alvarez in 2016, yet he laid low and has found a way to return, with the hype surrounding him as big as ever. Let’s hope this fight can happen sooner than later.